Skyline Slouch Beanie is rated 4.7 out of 5 by 25. Rated 4 out of 5 by Northof60NWT from Great beanie for North of 60 I live in Yellowknife, NT and we get some pretty cold winters. Today I walked to work from our parking downtown. It was -31 and my head was toasty warm. 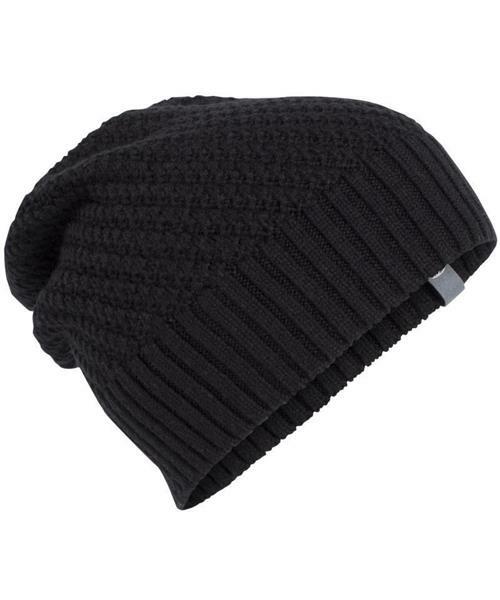 This beanie is great if your doing your daily routines where you are in and out of the car or for a quick walk. I wouldn't use this beanie to go on long adventures outside because we do have such cold whether. The fit is nice and the material is super comfortable. Rated 4 out of 5 by Dbebbo from So cozy The most comfortable beanie I’ve ever owned. Never feels like its going to fall off your head but not restricting at all. So warm and cozy. Rated 5 out of 5 by walkthecat from Most comfortable toque ever... I have a collection of toques and this is one of my favourites. It is very soft, comfortable, warm and looks great. If a toque could be described as elegant, this one is a contender.I bought it to compliment an Icebreaker scarf in the same colour. I love wearing them together. When my first beanie disappeared, i had to order another one...i felt like a part of me went missing! Rated 5 out of 5 by Clementine from Wear It Everywhere This beanie is warm and cozy and when I wear it on a slant, it looks especially stylish. It is the first thing I grab before venturing outdoors for early morning Autumn workouts at a local gym. A very happy purchase. Rated 5 out of 5 by dexmorgandex from So comfy Perfect amount of slouch and a nice big warm forehead band to keep the hat snug and cozy! I bought 2 different colours and got rid of my other touques! Rated 4 out of 5 by Dawn11 from Comfortable Beanie A nice dark beanie that fits over my ponytail if needed and isn't too cold or too hot. Love the color!